We received a post card in the mail and I really felt like I was at home the minute I stepped on campus, plus I loved the nursing program. I also received the Minority Achievement Scholarship but before I even received the scholarship, I was very determined to come to Mount Union regardless of the circumstances. There’s a spirit of oneness at Mount Union, where not only am I invested in my doing well, but the professors and other members of the staff also provide encouragement and root for my success. My Black Student Union (BSU) family and my friends, “The Shady Bunch,” helped me adjust to college and make Mount feel like a second home. 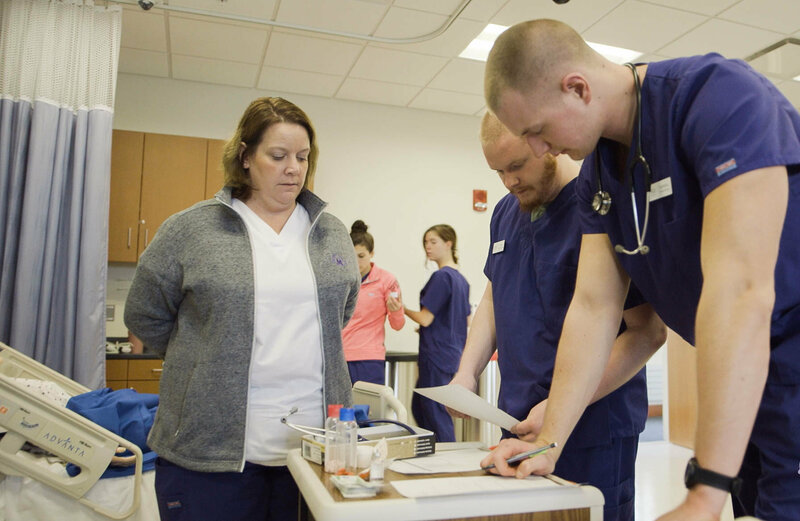 I chose nursing because I have always wanted to help people, especially children, so I just felt like it was my calling. I have also had a lot hands-on classroom learning, which I have enjoyed. The benefit of the liberal arts is the fact that you have a broader sense of knowledge that may help you in various situations, rather than just having knowledge in your topic of interest. I also feel like the Integrative Core will better enhance my communication skills. Focus heavily on your studies but also make time for fun! Try to join at least one organization on campus because that could make all the difference in the world. I joined BSU during my first semester at Mount and I met some of the best people I have ever known. I ultimately plan on becoming a Pediatric Nurse Practitioner. Mount’s nursing program has already taught me some valuable things that I will need to use after I graduate, and I haven’t gotten into the in-depth nursing classes yet!